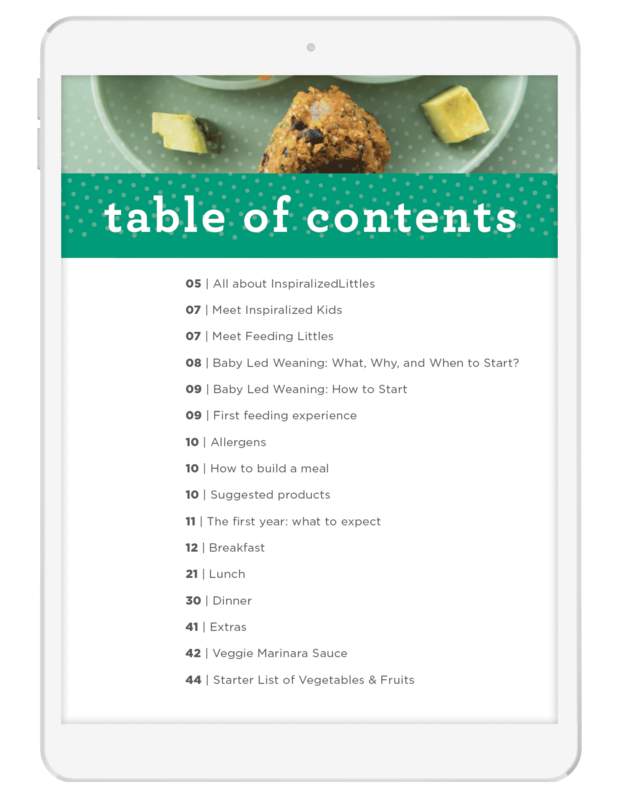 A collaborative eCookbook between Feeding Littles and Inspiralized Littles for baby led weaning, full of 14 healthy and delicious recipes that parents and kids will love, too! It’s finally here! 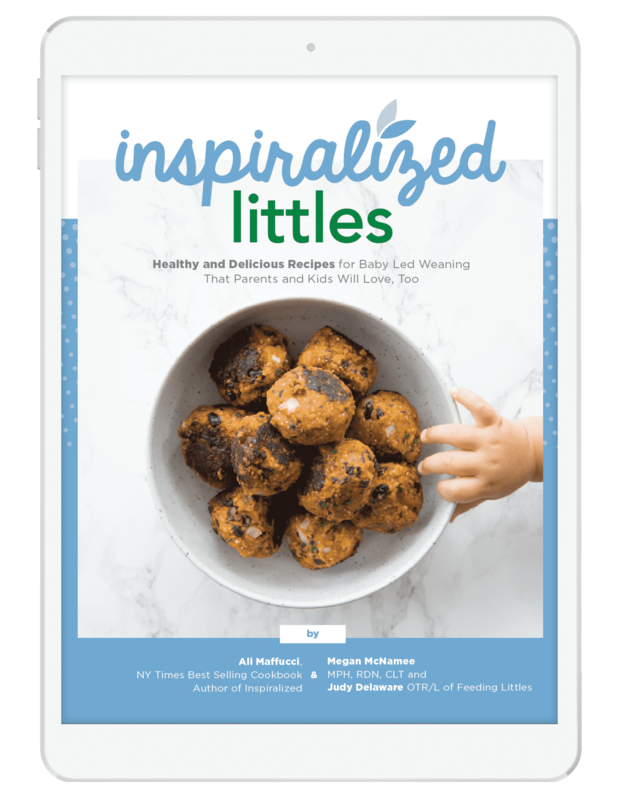 Inspiralized Kids has teamed up with Feeding Littles to bring you our eCookbook, Inspiralized Littles: Healthy and Delicious Recipes For Baby Led Weaning That Parents and Kids Will Love, Too! First, let’s talk about why I decided to write this mini eCookbook. 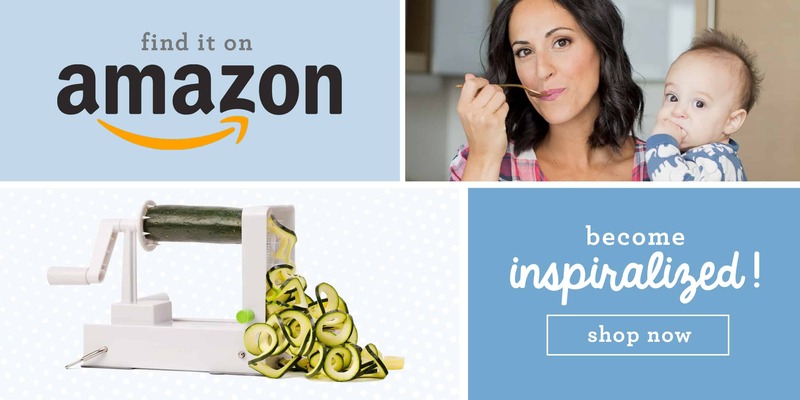 I’m calling it mini, because it’s only 14 recipes, but the recipes are all ones you’re going to love and incorporate into your weekly meal rotation! I wanted a cookbook with meals that were geared towards adults, but with instructions on how to plate and feed it to a baby. That didn’t exist – but it does now! Since I am not a nutritionist or an infant feeding specialist, I didn’t feel comfortable writing recipes without that expertise, since there is a lot of safety and nutrition concerns involved in feeding little ones. That’s where the Feeding Littles team come in! Feeding Littles is made up of two incredible women: Judy Delaware, an Occupational Therapist and Megan McNamee, Registered Dietician and Infant/Toddler Feeding Therapist! Between the two of them, they have you covered with everything you need to know about safely and healthfully feeding your little ones. I’ve got the recipes, they’ve got the expertise in feeding little ones! Together, we’ve created a delicious and informative resource for baby led weaning, that parents and kids will love, too! What are you waiting for? Download today – it can be yours for just $5.99 (and use code LAUNCH for 10% off today only!) You’ll be able to download it instantly after purchase. 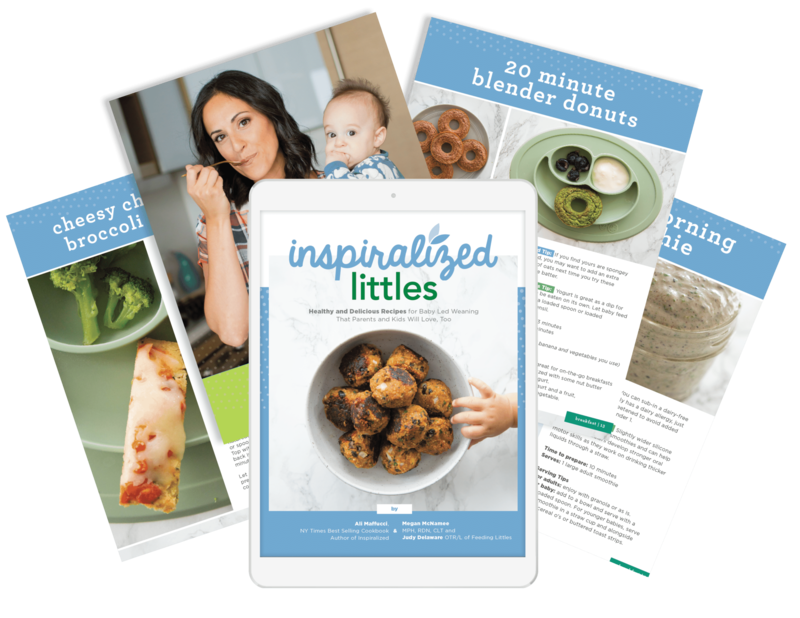 And make sure to use the hashtag #inspiralizedlittles when you make meals from this eCookbook!